From the Alhambra to the Taj Mahal, from the Dome of the Rock to the ever evolving art of calligraphy, Barbara Brend traces the development of classic Islamic art from the seventh through the twentieth century. The term "Islamic art" suggests a unity of style and purpose, and these works are in fact instantly recognizable for their subtlety of line and sumptuous detail. The Islamic world--from Arabia to North Africa and Spain, from Turkey to Central Asia and India--has a shared cultural heritage of extraordinary richness. Yet it is a common tradition that divides into a diversity of styles. So Brend narrates this history region by region, illustrating her discussion with superb examples drawn from all areas in which Muslim artists and craftsmen have excelled--mosque and palace architecture; the art of the book (calligraphy, painting, and bindings); and the decorative arts, including metalwork, carvings, mosaics, pottery, textiles, and carpets. Throughout, the author elucidates forms, aesthetic principles, themes, and imagery. And she points to sources and influences in the different periods--for example, the prominence of jade and chinoiserie after the Mongol invasion. 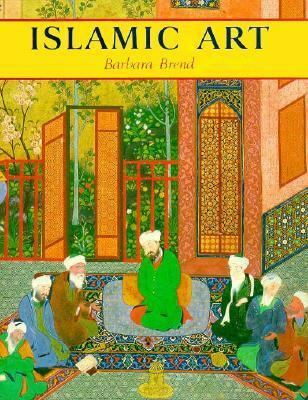 In Islamic Art Brend expertly guides us through the splendors and delicacies of this classic tradition.Brend, Barbara is the author of 'Islamic Art', published 1992 under ISBN 9780674468665 and ISBN 067446866X.